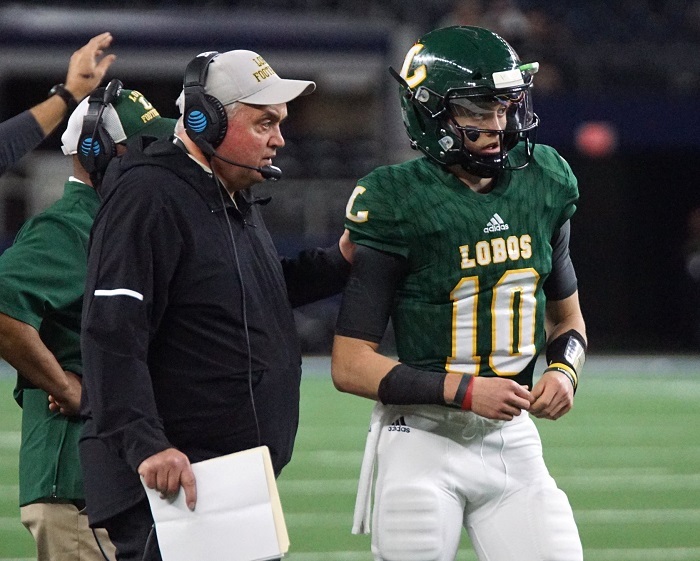 FRISCO, Texas — Armed with Longview’s first state championship since 1938, Lobos quarterback Haynes King returned to Nike’s The Opening Regional on Sunday at The Star, the Dallas Cowboys’ training facility, looking to advance to The Opening Finals later this year, which will also be in Frisco. 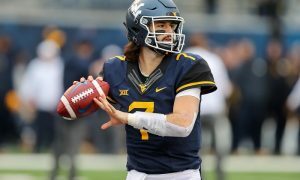 King entered the regional as a highly sought-after quarterback. The 6-foot-3, 185-pound rising senior is the nation’s No. 2-ranked dual threat quarterback, according to 247Sports.com, behind only Mater Dei’s (Santa Ana, Calif.) Bryce Young. King is also the No. 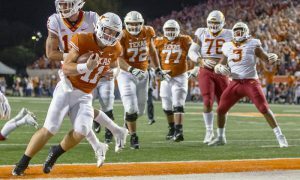 21 overall recruit in Texas per 247Sports.com. 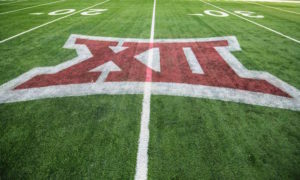 King’s list of scholarship offers reads like a who’s who of college football, with 19 offers, including a trio from Big 12 schools — Baylor, Kansas and TCU. King also plays basketball and runs track, but football appears to be his ticket to a college scholarship, as he’s authored a pair of stellar seasons for the Lobos. In 2017 King took Longview to a 13-2 record and a trip to the Class 6A Division II state semifinals. Then, in 2018, King and the Lobos went 16-0 en route to the 6A Division II state title. In two seasons with Longview, King has thrown for 5,541 yards, rushed for 886 yards and thrown for 62 touchdowns. King also has 10 rushing scores. Those are the sorts of numbers that make him attractive to college programs as he heads into his senior season. King already has a list of the factors that will weigh in his decision when it comes to college. 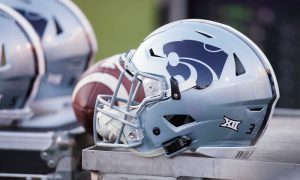 Of the three Big 12 schools that have offered King, the Horned Frogs are by far the most stable, as head coach Gary Patterson has led the program since the 2000 season and is the league’s longest-tenured head coach. But Baylor and Kansas offer potential opportunity. The Bears are coming off a bowl game for the first time under third-year coach Matt Rhule. Kansas, meanwhile, is rebuilding, but doing so under the watchful eye of Les Miles, who led LSU to a national title. King said that Kansas has remained in contact with him on a weekly basis, as the Jayhawks seek to stay in the running for his services. 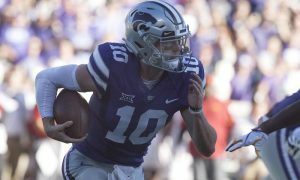 But, oddly, King said that the league’s high-flying reputation for offense might not sway him toward a Big 12 school. His father is John King, Longview’s head coach, and that relationship gives the younger King a distinct advantage. The elder King has been the head coach at Longview since 2004 and has been through many recruiting cycles. 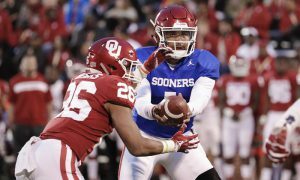 It’s part of the season the quarterback is relying so heavily on his father’s advice. Their run to a state title last season was one of those “dream come true” type of situations for father and son. “With my dad in past years the season ended in a loss. This year it ended with some rejoicing,” King said. 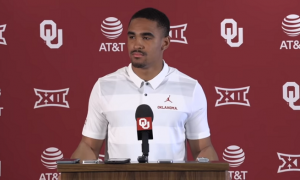 King said he hopes to make a decision about his future this summer, because he and his father have talked about the possibility of him enrolling in January of 2020. He doesn’t appear to have a favorite at this point, though 247Sports.com’s crystal ball prediction has him ending up at LSU. 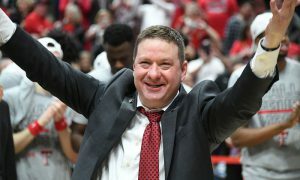 But King has visits set up for Arkansas and Tennessee this spring, with more to follow, giving the Bears, the Jayhawks and Horned Frogs more time to sell him on why their program should be his next destination.